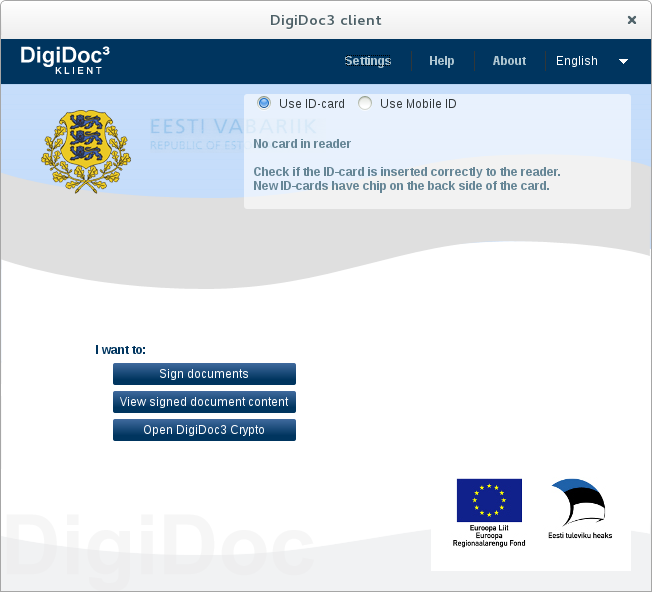 DigiDoc3 Client is a part of Estonian national ID-card software developed by Sertifitseerimiskeskus on behalf of governmental institution – Estonian Information System’s Authority. 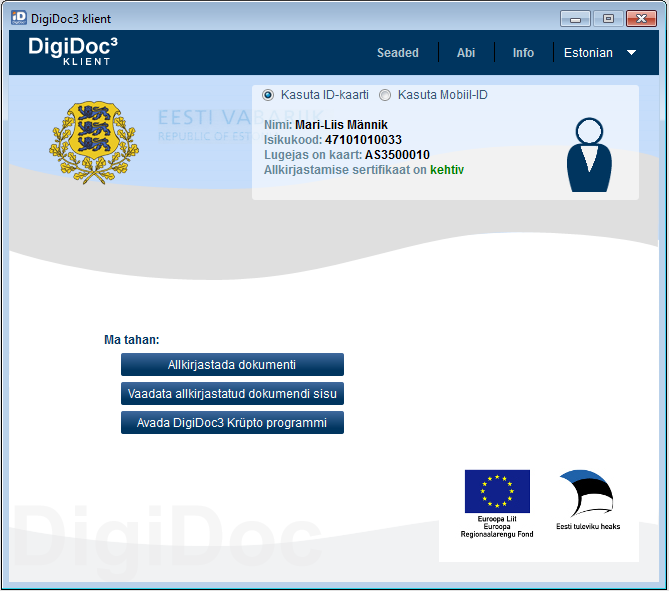 DigiDoc3 Client is a programme that can be used to sign digitally with ID-card and Mobile-ID, check the validity of digital signatures and open and save documents inside the signature container. 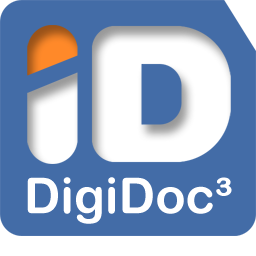 Digitally signed containers are files with .bdoc or .ddoc extensions.